Film producer and owner of the media company LP Mediaworks, Shahzad Pasha, also works as an editor, director and cameraman. Rubain Manzoor, a content writer in Mississauga, says “we’ll definitely see an upward trend” in the gig economy. She says that companies are considering the economic benefits—no office space rent, no employee benefits—and it opens up a larger pool of candidates for companies to hire from. “Freelance gigs generally pay higher, come with less stress, because you don’t have to deal with office politics, policies, etc, and saves on travelling time/expenses,” she added. As a mother of two toddlers, having a flexible schedule is extremely important, that’s why she opted for freelancing. “It allows me to have a better work-life balance and work around my family’s schedule,” Manzoor, said. While breaking into the Canadian job market can be difficult, and can “feel like a dead-end”, the gig economy offers quick, accessible work that allows for flexible schedules and generally pays above the minimum wage. The job wasn’t a dream career for Nizam but it helped her to bear the basic expenses of her family. “I think such temporary jobs are a quick way for new immigrants to get employed and give them a level of comfort in their settlement process,” she said. “It’s also a great way to fill their skill and work gap and use their specialized training in a productive manner,” she added. Nizam found no barriers organizing her work hours, nor thinks that age or race has any affect on her freelancing process. But another immigrant from Pakistan, Syed Atif, believes that age is an important factor when someone has to do multiple jobs to make the ends meet. In the beginning, Atif did some odd jobs while taking banking courses, now, he’s been in the banking industry for 10 years. However, he continues providing tax-return services for friends and family, and often works as an Uber driver on weekends. “I enjoy my freedom and extract my energy from it” says Atif. For newcomers, the gig economy is an efficient way to kickstart a new life in a new country. But for immigrants who couldn’t pursue their passions during their settlement journey, a freelance gig could be the solution to satisfy their craving. Seemi Abbasi is an artistic person who had always dreamed of becoming an interior designer. She moved in Canada in 1998 and has worked in the home staging industry ever since. At first, she couldn’t pursue her goal of becoming an interior designer due to family matters. But after some years of studying home staging in Toronto, she formally set up her company, Art N Style Home Staging in 2017. Now she feels contented with her work and gets lots of appreciation “It gives me an immense pleasure when I change the look of rooms, kitchen, lounges and customers are attracted to that property,” Abbasi explained. There’s nothing like having freedom from an organizational work set-up that allows one to earn their living by doing what they love. However, situations can get tough without a stable income as people have to juggle unpredictable schedules and finances. Shahzad Pasha is a film producer who immigrated to Canada in February 2014 and worked at Think Brown Media production company for two years. He initially wanted to learn about the industry and take care of his finances, in 2016, Pasha set-up his own venture—LP mediaworks. 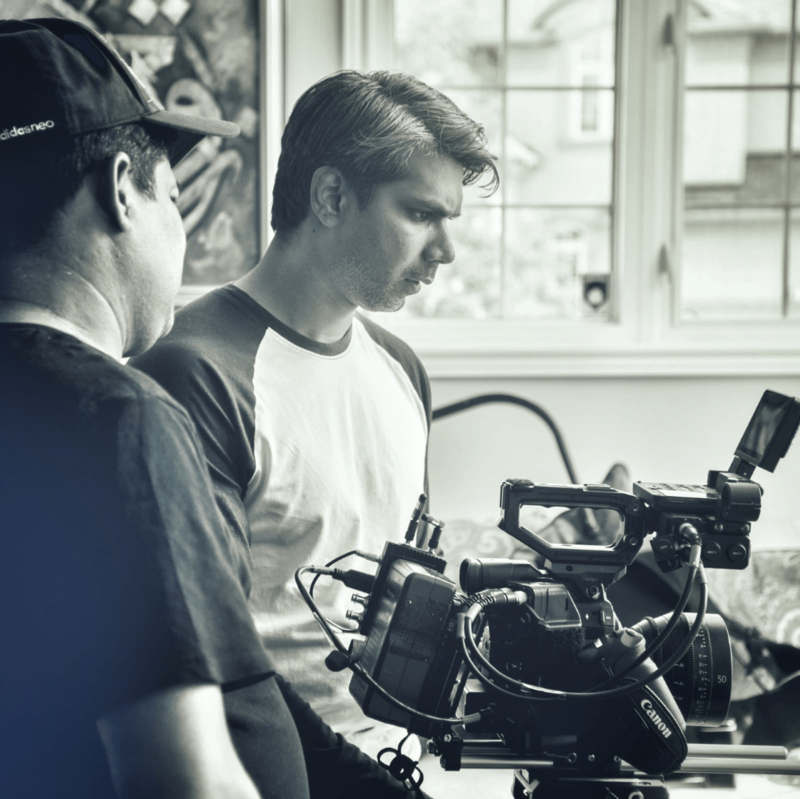 His company gives Pasha ownership of the films he produces and has helped him develop as a multitasker. Between his roles as an editor, cameraman, producer and director, he also juggles between production work and developing the business. Pasha argued that mainstream media organizations believe that people from different ethnicities don’t understand the work standards of the film industry but when they need a particular ethnic perspective, they involve professionals of that culture. It’s an unending struggle in the lives of professionals. “Every ethnic group has their own circle and wants to work within,” Pasha added. The workforce of the gig economy don’t just want money, they pursue a different kind of achievement—a sense of ownership. While the gig economy allows some to follow their passions, and others to earn some extra income, the unpredictable nature of the gig economy can lead to anxieties. It’s a roller-coaster ride and for those who succeed to manage it, it can lead to stability and growth. This article is the third piece in a series called “Immigrants and the Gig Economy” which explores how immigrants are affected by, and benefit from the gig economy. Writers interested in participating are encouraged to join the NCM Collective for an opportunity.